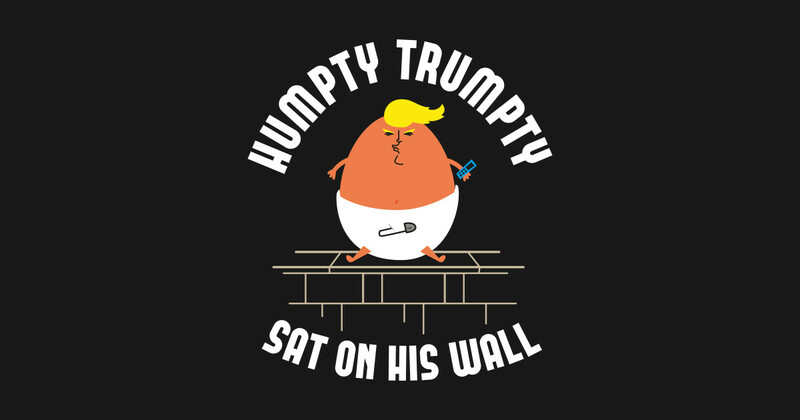 If Trump wasn't such a baby and a bully, he wouldn't have to be stuck in a corner or on his wall. And if the Republican Party and their constituents didn't put party above and before country, we wouldn't have Baby Trump at all! It is strange to see an effort to be faithful to a campaign promise being described that way. I know who Rush is but "Annie"??? Think of it this way, the President realized that then bill being offered did not allow him to fulfill his campaign promise and refused to sign it. Sounds rather honorable to me. Look at it this way. After giving the builder (McConnel) detailed instructions on what he wanted to have and what he would accept in the house while under construction, the owner (Trump) decided he had wanted a basement the day the builder was to present him with the keys to the new house. In short, the man was a moron. Look at it this way - the President campaigned on building the wall. Any non-moron can understand that. It does not require an analogy. Miller only has that power because he tells lel donny what he wants to hear, then praises him when he does what he wants to do. If a 6 year-old crashes your car into a schoolbus, don't blame the 6 year-old. Blame the one who gave him the keys to your car -THE REPUBLICANS. Is that in some way related to the border security that President Trump campaigned on and is attempting to deliver on? Trump is not interested in border security, he just wants his vanity wall. Got it - no rational response so just play "mind reader". A bipartisan budget PASSED both Houses, in fact it got 100 votes in the Senate, but Rush and Annie said mean things about lil donny so he refused to sign it and shut down the pay for 800,000 civil Servants and 2,000,000 contract workers for 35 days. To avoid undesired results one must eschew undesirable actions, like attempting to alter History when it's still fresh in everyone's minds.